Stress; know more about it and manage it better. 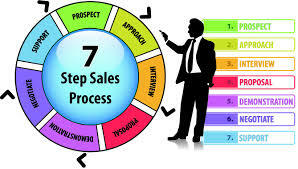 The 7 steps through which the sales process can increase your sales. With my own experience through observation of many sales professionals, different line managers and leaders, I have realized that the ability to sell something to someone; be it a product, service or an idea, is the fundamental skill at the core of many jobs in the business world. The sales profession moves faster than ever today. In the blink of an eye, new competitors emerge, products and services similar to yours are released and before you know it, they have circulated all over the market. No matter what industry you are in, what worked well a few years ago is not good enough today. This is no time for trial and error or order taking, this is a time to sell. When it comes to closing a sale, it is not just smooth-talking your buyer; it is as important as being able to listen, think critically and intelligently applying the effective sales techniques. Today, many sales people are not effective at selling not because they are not good sellers, but mainly because they do not follow a clear sales process. Different professionals came up with strategies on how salesmen can increase their sales and these were majorly summarized in 7 steps as explained in our article today. However is very important to know that each step is as important as the other. Chances of losing any exists at every stage. After generating the above lists, one should research about the prospects so as to easily determine the potential ones that can be approached first. In the broadest sense, prospecting is an ongoing process that everyone in the company (particularly the sales force or even the business development team) should be involved in. This simply means everyone should have their “prospecting radar” up when they are out and about in the world. Very often, a great lead turned customer is first discovered after being heard or seen in the news at a party, or any other event. Concluding by seeking permission to ask questions which can easily lead you to the text stage. Step 3. Qualifying the prospect. Buying history questions. Learning more about the prospect’s previous buying experiences, can help you get a glimpse of how his mind works and what his buying routines are. Purchase specific questions. These questions relate to the specific transaction you are hoping to initiate. Purchase questions help you identify hot-button needs and design your pitch around them. They include questions like: What prompted you to meet with me today?, what qualities do you look for in a [product type]? And many others. Objection seeking questions which include the prospect’s thoughts, concerns and any other subject to discuss. Asking sales questions helps you to collect the information that you need to sell effectively. Besides this, asking questions also helps you to build a rapport with your prospect. If you focus is on listening to what the prospect has to say instead of talking over him/ her, your prospect will feel that you take him seriously and that you respect him. That is a powerful way to start building trust with your prospects. During each sale, there is a moment when the prospect decides whether or not to buy from you. The prospect himself may not recognize this moment, since people usually buy based on emotion and justify it using reason. It is therefore important for you to recognise that moment when it comes because over talking is one of the ways that sales people lose prospects. Prospects listen to what you say, but there are also paying attention to what you do. In fact, some experts believe that our nonverbal communication has a much stronger effect on an audience than what we actually say. Ideally, you want your body language to say that you are confident, trustworthy, and interested in your prospect’s needs. To convey these ideas, the single most important aspect of body language is eye contact. If you spend the entire presentation talking to your PowerPoint slides, you’re sending exactly the wrong message. When you’re doing your practice sessions for a new presentation, record at least one session and then play it back. Do you use a lot of filler words like “uh” and “um” and “you know?” If so, you need to make a conscious effort to, like, get rid of those fillers. Including a lot of filler words in your presentation makes you sound uncertain, confused, or like you’re hiding something. This means dealing with your prospect’s concerns.If your prospect keeps throwing up “Yes, but…” statements or otherwise objecting to what you say, that is actually a good sign. He is at least interested enough to consider what you are saying, even if he/she does not agree with every detail. Prospects who just sit there with their arms crossed and do not say a word are much tougher sells. 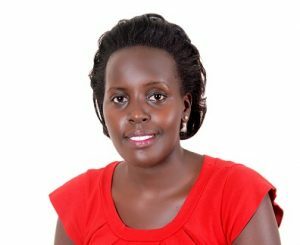 As you sell your product/service you will find that you hear the same objections over and over, which gives you plenty of opportunity to come up with the perfect responses for these common issues. When you get one that you have never heard and are not sure how to respond, just say something like, “That is a great question. I do not want to just toss off a quick reply, so let me do a little research and get back you to you.” That honors the prospect’s concern while giving you a chance to think before you respond. While handling objections, you can use things like testimonials, case studies that high light similar challenges. You can also create more value based on the customer’s buying motives and provide them with more information about your product or service. This involves identifying closing signals from the prospect that indicate it is decision time. During this stage of closing, the seller’s major goal is to facilitate the prospect’s decision making process towards making the purchase of a good or service at the right time. This involves you offering something extra to get the buyer to agree, such as a discount or a free product. This close requires you to inform the prospect that time is of the essence because some impending event, such as a price increase, will change the terms of the offer. On the other hand, if you have not convinced the prospect, closing may be your last opportunity to turn him into a customer. In that situation, using a closing technique can salvage the sale for you but will probably your work cut out for you later to earn your new customer’s trust and ensure he will not jump ship in a month. It entails the development of the long term, mutually satisfying relationship with the customer. It provides a recycling of the sales process through subsequent sales calls on existing customers. When you successfully do close the sale, do not shake the customer’s hand and then take off before he can change his mind about buying. While he is thinking positive thoughts about you and the product, it is an ideal moment to ask for referrals of his friends and colleagues, and in such a process, you will be able to make grow your sales. In conclusion, on completion of the follow up stage, the sales process naturally becomes cyclical because the follow up leads you to the preparation of the next sale. As earlier noted in the introduction, as a sales person, it is very important to master each of the seven stages of the process because if you fail to successfully accomplish one stage, then it becomes difficult to get to the other one, meaning you will never achieve your real potential as a sales person.